This is an excellent bouquet for brightening anyone's day. We have paired some beautiful Lily la Orange with Kermit Chrysanthemums, Statice, Germinis, Carnations, and Roebellini Palm. 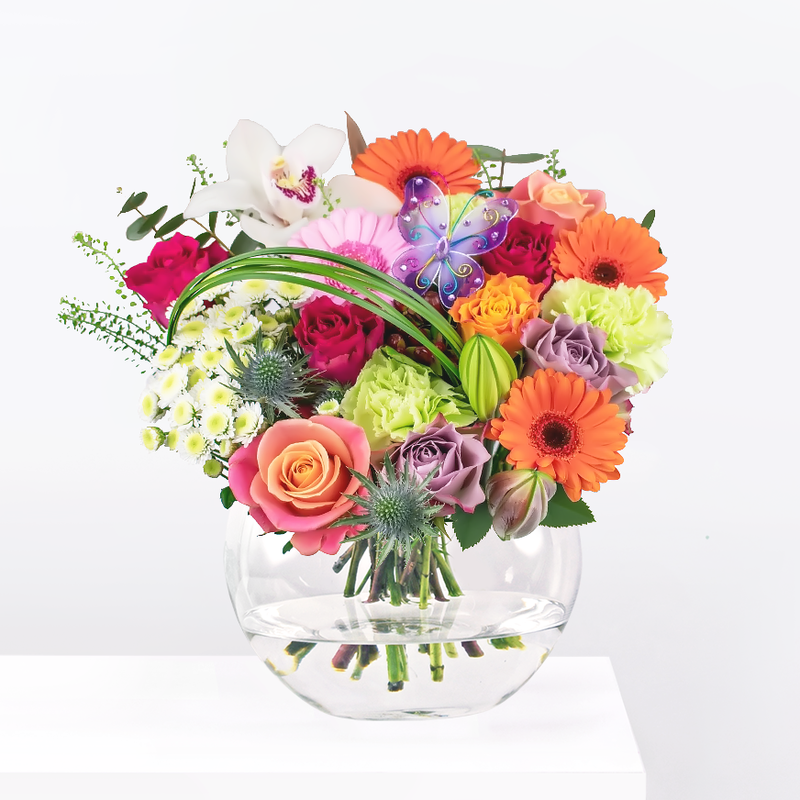 The combination of warm and cool colours in this bouquet creates a stunning contrast along with the different textures. 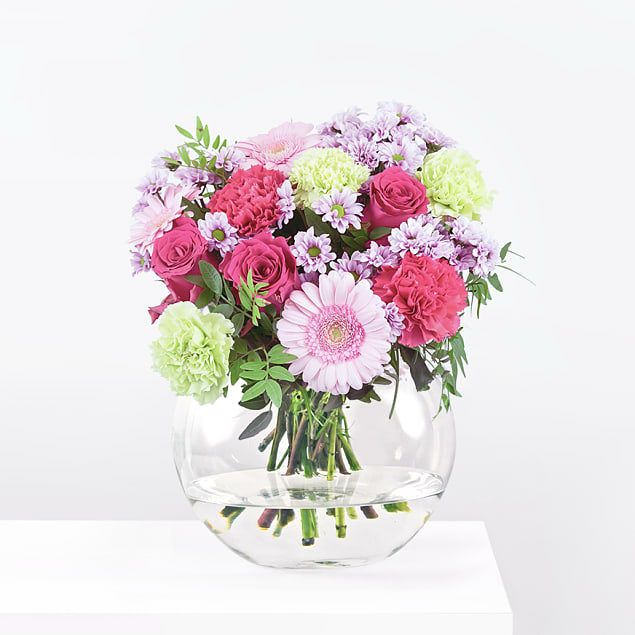 No matter the recipient or the occasion, this flower arrangement is sure to make them smile! Imagine has been added to your basket.